The diving watch has been a staple of men’s fashion. Many men dream of having a professional dive watch. Although they may not be used for diving, it does not prevent their love of the diving watch. As we all know, these dive watches can withstand many severe tests. 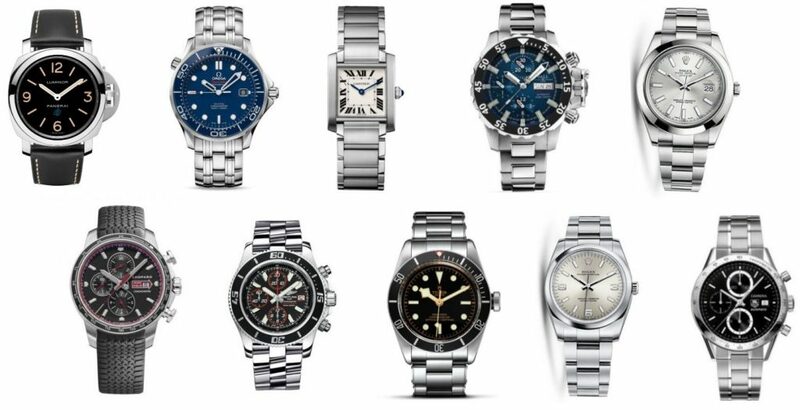 So, there is no doubt that the following five dive watches are not to be missed for most men. The first wristwatch, is Audemars Piguet Royal Oak Offshore, Ref.15710ST.OO.A027CA.01. With the exquisite craftsmanship and pioneering creativity of the brand, Audemars Piguet has always been able to break through the tradition in the field of traditional watchmaking. The blue Royal Oak Offshore diving watch is a great success with its colorful dial design. With 42mm in diameter octagonal stainless steel watchcase, anti-dazzle sapphire crystal glass watch mirror and the bottom cover, plus blue screw-plug crown, this diving watch perfectly shows the classic connotation and fascinating charm of the brand. Dark blue watch dial is the popular dial for this year, and is decorated with “Mega Tapisserie”. There are blue marker and yellow 0 to 15 minutes in the blue circle of the outer rim of the dial, which is very striking and shows the utility of watch function. The platinum fluorescence stereo time scale and the royal oak pointer set off each other. The different shape of the pointer corresponds to the indicator function. What’s more, the scale of the outer bezel of the wristwatch has been specially designed to ensure a clear reading of 300 meters underwater. 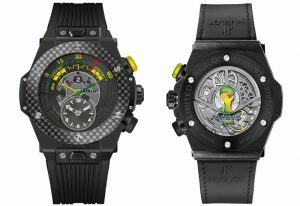 It is equipped with 3120 automatic winding movement and power storage can be up to 60 hours. Excellent waterproof design makes the waterproof performance of the watch more reliable. Through anti-glare sapphire crystal glass bottom cover, the operation of the movement is in full view. And the rotor is engraved with the exquisite design and brand LOGO. 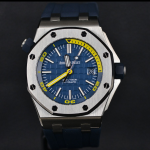 Then, the same tone blue rubber strap gives a strong attraction to the new Royal Oak Offshore diving watch. The second watch is Rolex Sea-dweller 4000. 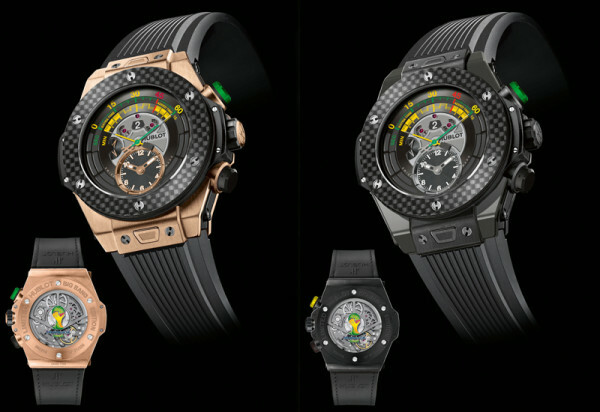 The diameter of 40mm of diving watches is equipped with many innovational functions that conform to Rolex’s latest standard, including the scratch-resistant and ultraviolet-proof Cerachrom bezel, the Chromalight indication with the lasting luminous coating and the valve that discharge the helium etc. The oyster case is water resistant to 1,220 meters (4, 000 feet). The bottom cover is tightly closed by a Rolex watchmaker with special tools to completely seal the case. The crown, which used the triple lock waterproof system of the Rolex patent, is tightly coasted to the surface of the case. With the new patent Glidelock buckle, divers can extend the bracelet to 18mm, while the telescopic bracelet can be extended to 26mm. And most importantly, the new Sea-dweller 4000 watch is equipped with a 3135 automatic winding mechanical movement developed by Rolex. And swing components are the heart of the wristwatch. Thus, it’s equipped with the unique Parachrom hairspring that is made of niobium and zirconium alloy by Rolex. Without interference from the magnetic field, even in the face of extreme temperature change, the stability performance and the shock resistant are 10 times higher than the traditional hairspring. And obviously, this Rolex Sea-dweller 4000 is a solid and reliable model. The third one is Breitling Avenger II Seawolf watch. Deep-sea adventure is always the object that men want to conquer. The watch with the professional waterproof depth of 3,000 meters (10, 000 feet) accompanies the explorer to feel the ultimate charm of the deep ocean. The dial is designed for rare yellow. 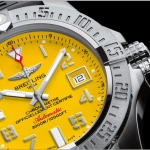 At the 6, 9 and 12 o ‘clock position of the yellow dial, the large luminous scale and hands are still legible even when diving into the dark depths of the sea. It is worth mentioning that this watch uses the unidirectional ratchet rotating bezel, screw-plug antiskid crown and the safety relief valve. So, the water resistance of 3,000 metres is incredible. When the internal pressure reaches 3 atmospheres, the pressure-reducing valve automatically releases the accumulated helium gas in the watch to avoid the case blasting. Besides, carrying authenticated by COSC automatic winding mechanical movement, and with each hour 28800 second-highest pendulum frequency, 25 jewel bearings, power reserve not less than 42 hours. Whether on land, in the deep sea or in the sky, the wristwatch is extremely accurate and reliable. Thus, Avenger II combines with strong appearance and exceptional performance, and it is a professional super dive watch. The fourth is Omega Seamaster Co-Axial watch. 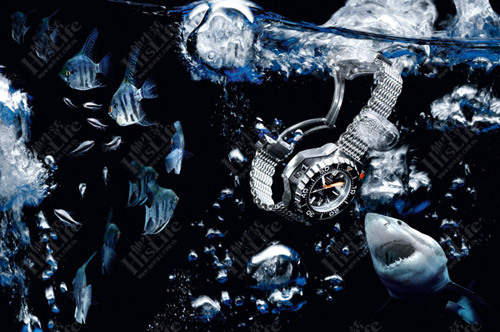 For sailors and divers, this series of watches is trustworthy. 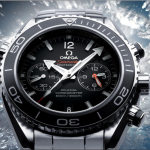 And the style of Omega Seamaster Marine 600 meters diving watch is a traditional tribute to Omega diving watch. Equipped with wear-resistant sapphire watch mirror, small second display sub-dial, calendar window and central timing pointer. And the timing sub-dial at 3 o’clock has 60 minutes and 12 hours timing function. Moreover, it’s more convenient and intuitive to read the time. 45.5mm stainless steel case is equipped with black ceramic unidirectional rotating dive bezel and stainless steel watch bracelet. 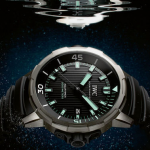 The watch has a waterproof depth of 60 atmospheres (600m /2000 feet) and is equipped with a helium valve. And the certified dive watch carries the omega 9300 coaxial movement, which can be clearly visible through the transparent case back. The last one is the IWC Aquatimer Family 2000 watch. A wristwatch that is not very expensive but can be kept in sync with time at depths of 2,000 meters. The Aquatimer Family 2000 diving watch shows its ambitious without doubt. 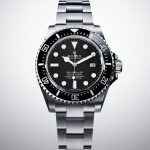 The size of the 46-millimeter has completely exceeded the size of all Rolex dive watches. And you don’t have to worry about the watch with the big size on your wrist is heavy, because it uses the titanium case and the quality is well controlled. While the watch can dive to depths of 2,000 meters, it doesn’t have a helium valve. Unlike other diving watches, the Aquatimer Family 2000 does not adopt the external rotating bezel, and it also avoids the phenomenon of the external rotation watch bezel that can easily produce the scratches and bumps when worn. Instead, the internal and external rotating watch bezel is used. The device that takes minutes to make precise meshing of the inner circle has advantage, such as effective protection of mechanical devices against seawater and sewage. So in this way, the diver can easily spin even they wears a glove. Beyond that, the wristwatch adopts the self-produced Cal.80110 automatic movement with the well-known Pellaton chain system. So, such a huge innovation and affordable price make this watch become the most powerful contender. Diving is becoming more and more popular nowadays. And people dive to the bottom of the ocean with curiosity in the unknown or adventure. The diving watch is also an indispensable part of the diving exercise. Maybe not everyone is interested in diving, or maybe not everyone will try to dive, but there will always be a dive watch in each man’s heart. “Diamonds are a girl’s best friend”, there must be a lot of truth in this sentence, which is immortal in Marilyn Monroe’s singing. And almost all ladies watches come with diamonds or at least a diamond base. Some of the right diamonds can make a simple watch into a real and charming item. For centuries, women’s love and infatuation with diamonds are based on their pursuit and expectation of good feelings. A beautiful diamond that works well with your personal temperament always is able to awaken the deepest amorous feelings in the the hearts of women, especially in romantic quiet summer night, wearing a diamond lady wristwatch will make you unconsciously become the most glittering star in the vast galaxy. Therefore, diamond ladies watch is considered to be a girl’s best friend. What’s more, the watch industries are taking women’s watch seriously and are developing diamonds ladies watch. 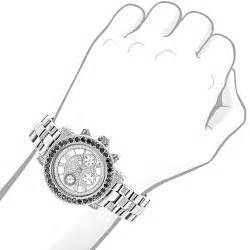 Now, give several examples of how diamond ladies watches are important to girls. Patek Philippe moonphase lady high-end watch with the ref. 7121/1J-001 has the the sparkle of exquisite diamonds. Crafted in a 18K yellow gold case, the 33mm diameter and a hand-wound movement. On the bezel, the top Wesselton diamonds appear to be extremely charming. And the moonphase that is on the crisp silvery-white dial displays the Moon and stars in gold. More, the chic gold Arabic numeral scale and two tasteful gold pointers come together in a ladylike design is suitable for any occasion. Jaeger-LeCoultre Reverso Classic Medium Duetto watch, its versatility is endeared to many women. The classic gold dress watch with two elegant rows and brilliant diamonds is a coveted item of ladies. Thanks to the Caliber 968A, this timepiece is a rare mechanical marvel. To our knowledge, rich experience allows Cartier to know how to handle with diamonds and watches. For example, the Cartier Baignoire watch, designed in 1906, has a 18K pink gold case with diamonds. The shape of the diamond is perfect. And the guilloche dial with roman numerals scale gives the watch a classic look. So, this diamond-set lady watch is a good reflection of the charm of women. Bulgari Berries collection watch with 63 dazzling diamonds show the unique charm of diamonds ladies watch. At 6 o’clock, the colorful gemstone-set swirl endows the staring attraction to the tourbillon aperture. The inner BVL 313 self-winding movement that can provide 64-hour power reserve, is visible through the sapphire case back. These four timepieces are beautifully engineered. Behind these amazing looks, some of the most sophisticated craftsmanship of high-end watchmakers is hidden, including the tourbillon and moonphase indicators. Diamonds are never misunderstood, and will never tire of life and sparkle. And a diamond watch is popular with girls. 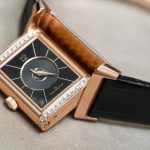 For any girls, whether or not they choose to express their styles, a diamond ladies wristwatch is always a combination of femininity and artistry. Of course, it is an expression of their good attitude towards a better life. Everything you need to know about vintage watches? As a heavyweight artwork, vintage watches are already well-placed with its rarity, decorativeness, functionality and globalization. At the same time, they are also the fashionable luxuries for the rich to show off their wealth. At present, it is more valuable to invest in real, refined and new vintage watches. The so-called genuine article is not imitation. And it must be the competitive product of the same products. More, the vintage watches should be perfect and new. And it must not be worn out or incomplete. The vintage watch is the art collection that combines dynamic and static. It is a symbol of culture, identity and taste. 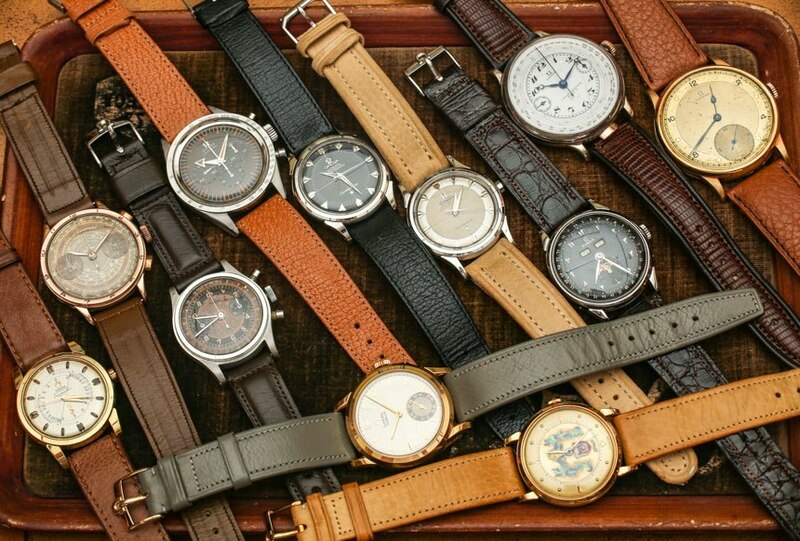 Here’s a brief look at vintage watches. One, is time definition of vintage watches. You have to define the production of more than 50 years, limited production or the discontinued production. Moreover, the watch with accurate time and integral component is considered as antique watch. Because of the mass-produced modern wristwatches, they basically do not have any potential of the investment. Thus, the judgment of time and age is very important. Two, is the vintage watch brand appraisal. To really collect and invest, you have to consider the brand of these antique watches. Famous watches, such as the vintage watches come from Patek Philippe, Vacheron Constantin, Jaeger-LeCoultre, Longines, Omega and Rolex watches factories with a long history, are the key objects pursued by the world’s horological collectors. They deserve investors’ attention. Perhaps a limited edition watch or a special vintage watch is a highlight of investment. Three, complex functions are good condition for distinguishing vintage watches, such as moon phase, calendar, tachometer and fathometer, etc. In addition, watches with having the square case and round case from the same brand and same quality have different prices. And the most precious is the platinum case, which in turn is 18K Gold, 14K Gold, 9K Gold, silver and steel etc. As is well-known, there are many types of vintage watches. However, the longer it is, the more attractive it is. For watch lovers, rare vintage watches and pocket watches are appreciating fast and worth collecting. In general, the world’s vintage watches that sell astronomical Numbers, some thematic watches with special purposes, unique style, chic art watches, the brand watches, wristwatches with special cultural relics and commemorative watches, belong to the category of vintage wristwatches. When it comes to buying a watch, the Microbrand watches become the general public’s choice. The so-called Microbrand watches are the small and often populate on the internet. These brands are usually solely available from the brand website through pre-orders or on crowdfunding platforms. And there are several reasons why it has such a big appeal. 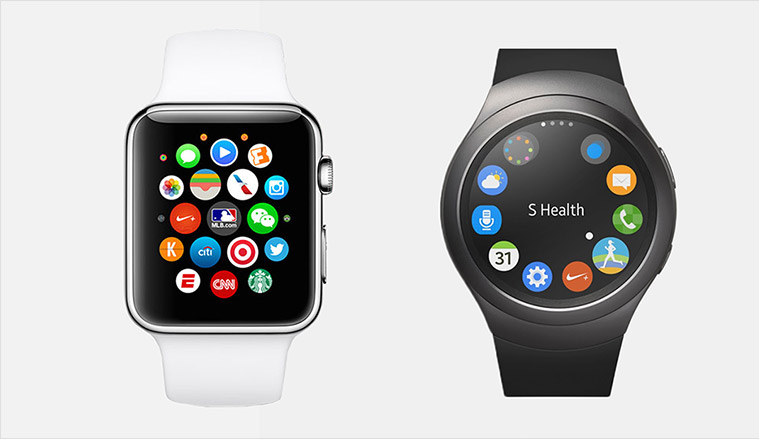 Above all, a variety of modern social networking platforms have greatly affected everyone’s life, and wristwatch collocation is no exception. Today, more and more merchants are making good use of social networking platforms in order to better launch their wristwatch brands. And, many users of social networking platforms know that this is a good platform for people to understand a product. 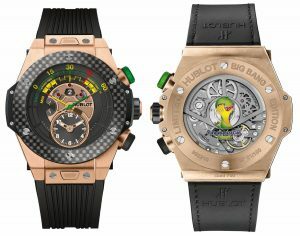 For example, a watch’s material, appearance design, model number, and the detailed information about the inner movement. What’s more, some of the maintenance and cleaning notes on the wristwatch are fully mentioned. Even, there will also be trendy collocation suggestions. Although not as big as luxury watches, Microbrand watches have their own necessity of of existence. Secondly, the reasons many people choose the classic Microbrand watches may be that they are equipped with complex functions, hollowed-out watch dial, or the innovative materials. These watches look always younger and cooler, and definitely not the brand or design you’d expect. So, keeping up with the fashion trend is a big reason for its charm and attraction. And thirdly, affordable price is another important reason for people to choose these Microbrand watches. As we all know, the price of Microbrand watches is in acceptable range of the public. And consumers don’t need to worry about saving money for a long time to buy a favorite wristwatch. Even some luxury watches are simply not affordable. So, the most direct hit to the hearts of the masses of consumers is the above points. With stylish modern design, affordable prices and practical functions, the Microbrands that produce the custom-made watches with high quality are gaining appeal globally. The greatest items in the world come from the heart, and what better way to show your family or friends that you care about their interests and first needs, and give them the most desirable gifts directly. Thus, today’s article is dedicated to those who love watches. If you’re searching for a special treasure, there’s something for everyone in the collection of gift ideas that follows. These 5 gifts for watch lovers make the perfect present for any occasion. The Rolex watch is highly valued. And it has not only the material value, but also contains the profound significance.Whether as a family treasure or a milestone on the road to success or a gift, Rolex watches often symbolize the remarkable moment in life’s journey. So it’s a coveted and must-have item for everyone. What’s more, a variety of series, you can choose the most practical one according to the demand. As we all know, Patek Philippe is regarded as the Sang bleu of watches. 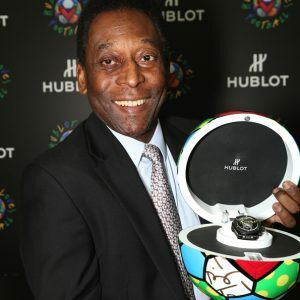 It’s the world famous and expensive watch brand. So wearing Patek Philippe watches is a symbol of identity. 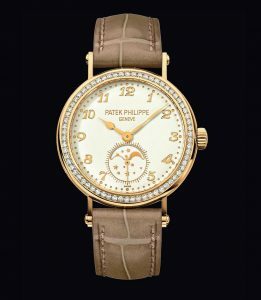 And many watch collectors regard Patek Philippe watches as the world’s best watch. And many people wear Patek Philippe watch, including members of the royal family, movie stars and wealthy businessmen. Also Albert Einstein was one customer of it. One of the world’s most famous watch brands. From the simple and elegant style to the excelsior complex design, from daily wear style to expensive diamond wristwatch, each model reflectes the outstanding position of Vacheron Constantin in the watch industry and its pursuit of technology and aesthetic. For example, the Malte series, with the exquisite tonneau-shaped exterior design to annotate the superb craftsmanship and inventive idea. Thus, it’s one of the classic masterpieces of its brand. Another Overseas series of watches, the style that combines the styles of the dress wristwatch and sports watch. Relatively speaking, this series of watches is a more versatile and fashionable watch. One of the three world famous watchmaking brands. And it is the only premium watch brand that has always been run by the founding family. It is dedicated to the inheritance of complex functional watchmaking techniques, and has achieved the immortal family legend of the watch industry. Taking the Royal Oak series as an example, steel case, octagonal bezel and tapisserie dial, it upended the traditional watchmaking tradition gave people a new understanding of the wristwatch. Such a unique watch is is undoubtedly one of the preferred gifts. 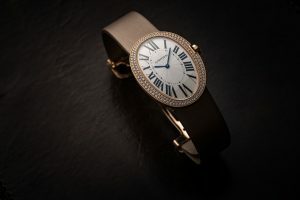 Whether it is the jewelry or watches, it has always maintained close ties with royalty and socialites, and now Cartier watch is a luxury dream for the world’s fashionistas. Due to the extraordinary creativity and perfect technology, it created a lot of exquisite and incomparable masterpieces, thus the reputation of “the emperor’s jeweler, the jeweller’s emperor” was obtained. Ballon Bleu De Cartier watch illustrates the classics and innovation. 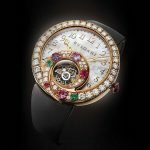 Three new styles of fashion wristwatches: the chronometer chronograph watch opens the speed of passion; the watch with the diamonds dial reveals luxury and beauty; and the ultra-thin watch explores the trend in the future. More, the stunning series of Cartier Libre watches reinterpret the definition of visual interpretation. Cartier Libre series replays the style of brand wristwatch, and shows the lively and abundant creative ideas. The lines that are elongated or shrunk perfectly interprets the creative and unrestrained freedom, such as Baignoire Interdite watch, Baignoire Étoilée watch, Baignoire Débordante watch, Baignoire Infinie watch and Crash Radieuse watch etc. Therefore, Cartier Libre series can specifically outline the beautiful image of the collector of the brand wristwatch. In summary, watches make an excellent gift. 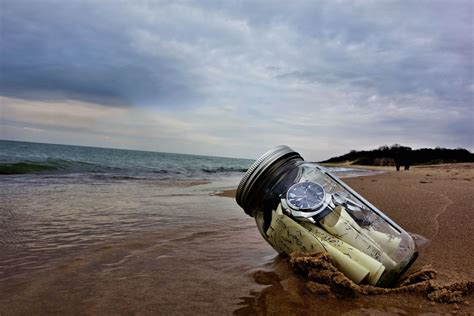 Watches are personal belongings that you wear and say something about you. Therefore, i’d like to recommend some notable timepieces that can be given as a gift to someone important or add to your own collection.